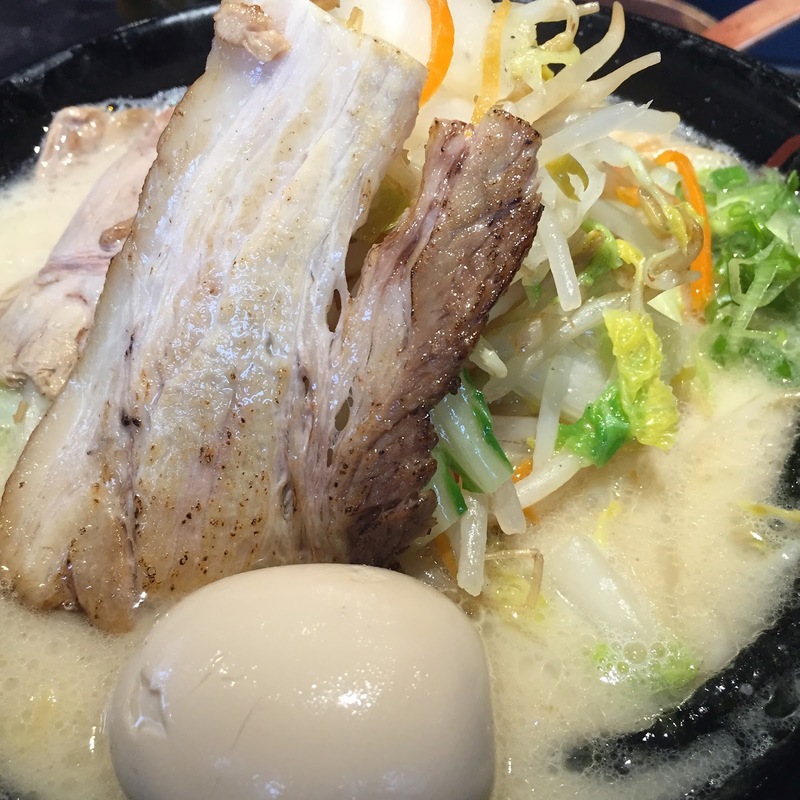 Making my way through the Kinka family of restaurants, I was invited to Kinton Ramen 5. Never having ramen at a restaurant, I thought it was just soup. Well....I was quote wrong. This location is BUSY! Go early! Like the Kinka Izikaya locations, you are greeted by all of the staff when you arrive and when you leave. Noise level is loud, but you get used to it. Made me want to yell something too! We grabbed seats at the bar and got some delicious Sapporo. I ordered Gyoza to start and the Original Pork Ramen with thick noodles and the seasoned egg. My friend got the Hot Karaage and Spicy Garlic Pork Ramen with thick noodles and the seasoned egg. Are you noticing a trend on the seasoned egg? GET IT. It's surprisingly delicious, you won't regret it. I eat a lot of eggs at home and I would trade all of them for seasoned eggs from Kinton Ramen. Our bowls arrived, piled high with pork and veggies. It smelled amazing. There were so many toppings, it took me awhile to find the ramen! These are large bowls; even with an empty tummy, it was a challenge. The pork belly was fantastic; so tender and full of flavour. It was sliced very thin, making it easy to eat without splashing broth all over you. The Hot Karaage was hot! My friend was sniffling and loved every bite. 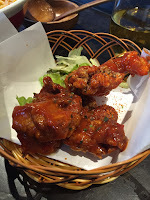 The sauce was good and hot on the fried chicken. 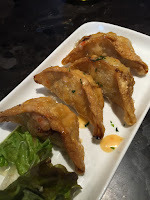 The gyoza was crisp and drizzled with sweet chili sauce. I offered my friend one and I was secretly happy she didn't take me up on it. I heart gyoza. We found out that if you finish the bowl, you get a photo with the super awesome enthusiastic staff. I WANTED IT SO BAD! Someone had their photo taken while we were there and we got super jealous. Service was alright, but the place was packed! Not a seat in the house. There are lots of servers, so don't wait for the original one you talked to if you need something, they all help each other! A great vibe at this place. I already planned my next visit!